Before a Thru web portal is created, Thru customers can choose to enable self-service account requests to allow anyone to request an account on their portal. This feature places a “Request Account” button on the sign-in page of the Thru web portal and lets designated admins approve or reject incoming requests from an email notification. 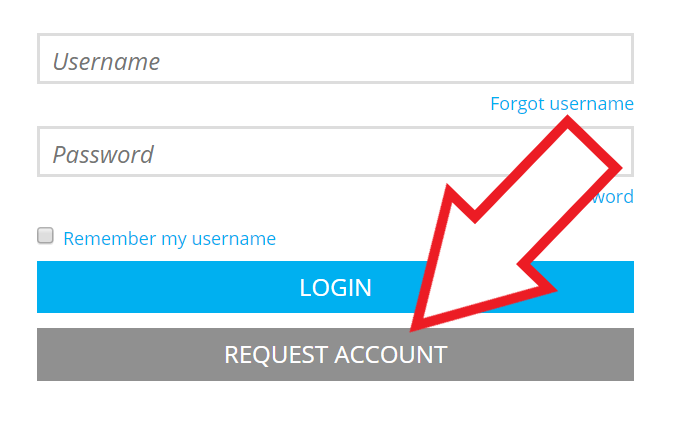 *If you are a Thru Administrator and you would like the Request Account feature to be enabled on your portal, please contact your Thru Account Manager. Go to the sign-in page of the Thru portal and select Request Account. An account request form opens. 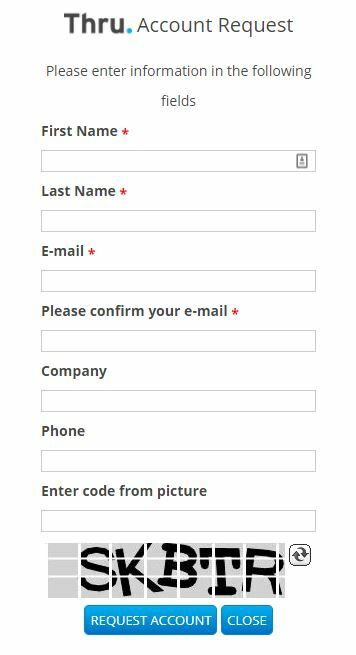 The form requires the requester to fill out their contact information and enter a CAPTCHA code. Once the requester selects “Request Account”, a Thru Administrator or any members of the group called ACCOUNTS APPROVAL will receive an email notification where they can choose to accept or reject the request.